Give personalized gifts to your wedding party. 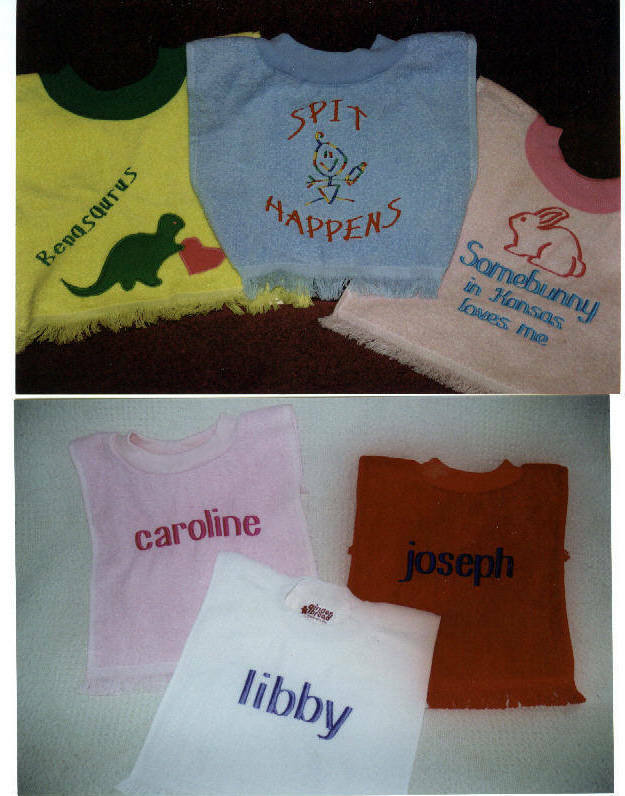 Give personalized gifts for baby showers, Christmas, Mothers Day, and other holidays. There's nothing like a gift that says, "You're one of a kind!" Items custom made for you, using the latest in computer technology. And personalized gifts bring the brightest smiles! It will seem you went to a lot of trouble, but only you need to know how easy it is! We take care of every detail for you!